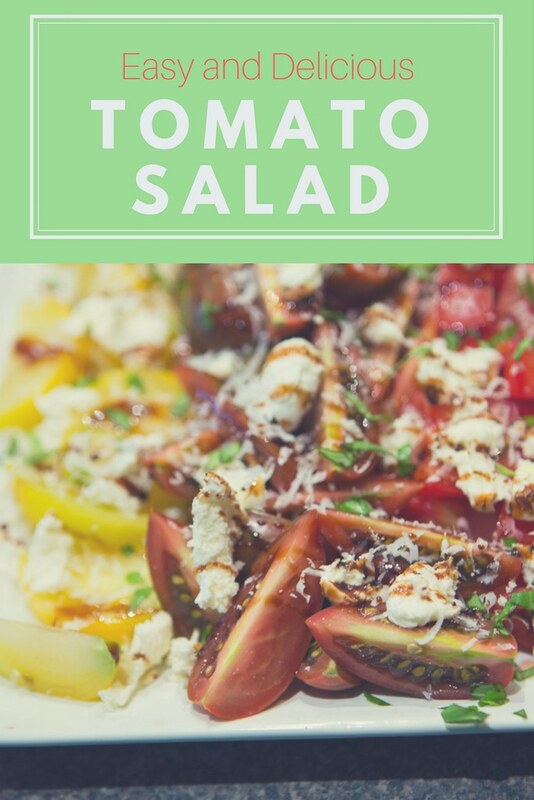 Are you wanting a simple and nutritious salad for dinner tonight? 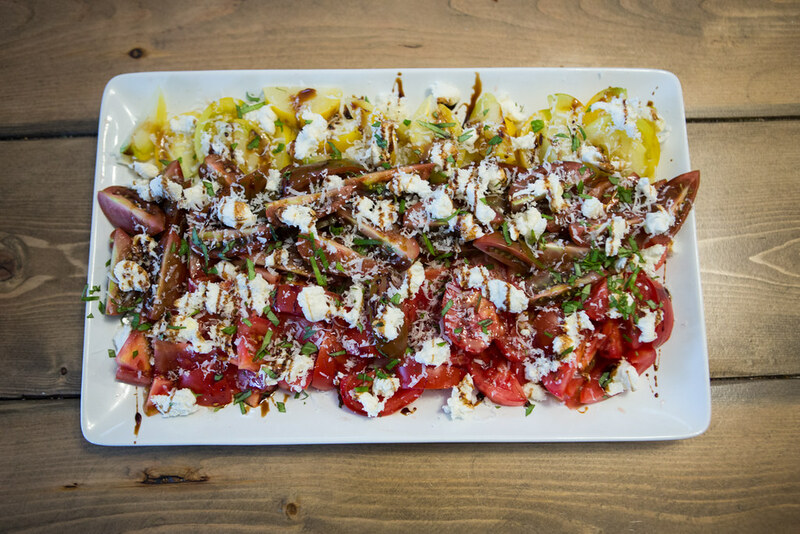 Maybe you have an event you're going to and you need to bring a fruit or vegetable dish. If you were you coming here for exact measurements, I apologize, but salads are flexible. You like cheese, go wild. You like balsamic vinegar the most, have fun! This is a versatile salad and such a crowd-pleaser using just six ingredients. 1. 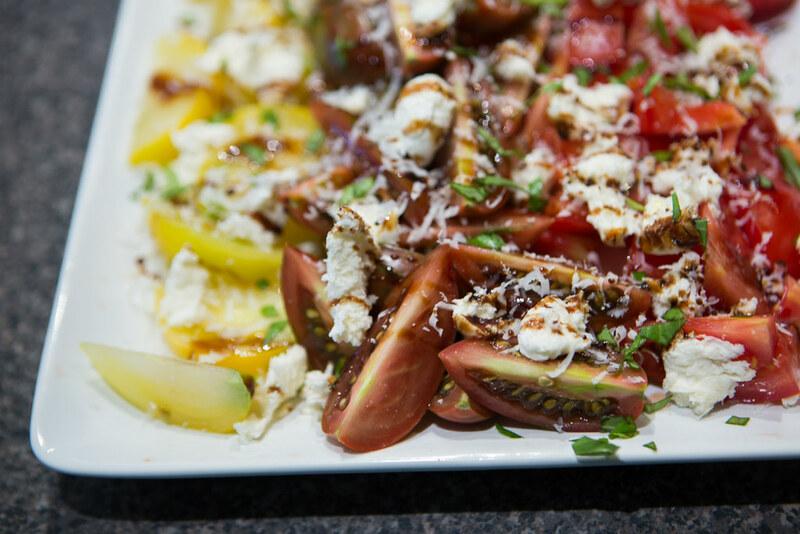 Slice tomatoes and lay as the base (we used heirloom tomatoes from our garden but a regular tomato works fine too). 2. Place Bocconcini cheese crumbled on top. 3. Thinly grate some fresh Parmesan cheese above the salad. 4. Cut up fresh basil and spread evenly. 5. Drizzle with balsamic vinegar. Voila! Delicious and healthy salad ready to go which is super pleasing to the eye. Enjoy. PS If you do not have Bocconcini cheese, you can do it with just the Parmesan and it's still just as lovely.